Home » Need help writing LinkedIn profile? Follow these tips! Add a professional profile picture as your Logo. This will help you in establishing a first impression which will be everlasting. Add a background image of preferably 1000 x 1000 px. You can google for a high resolution image or create one, yourself by using several free graphic designing websites on the internet. Rewrite your LinkedIn profile role titles. This is very important because the roles you mention here act as keywords for recruiters and employers who may be searching for profiles for open positions. Rewrite your LinkedIn profile role descriptions. Linkedin.com is one of the best places to showcase your top skills and potential to millions of people. When you write a role as descriptively as possible, you grab attention immediately. Add Certifications. When you open Linkedin.com and go to Edit profiles, it usually shows up various options on top to update the details. One of it is Certifications and LinkedIn™ displays that profiles with Certifications receives 101% more profile views. Add your projects and organize them as per roles. If you thought a professional could render great services to help writing LinkedIn profile, then remember, they wouldn’t miss this step at any cost! Showcasing your projects is a great way to highlight your achievements. Request recommendations and endorsements. This is very crucial for having a LinkedIn profile that shouts out who you really are and how many people indeed appreciate your work. So do this! Update the “Advice for contacting me” column with all information you want displayed. This gives you the opportunity to reach out to your audience directly. So you might as well include your email address and phone nos. 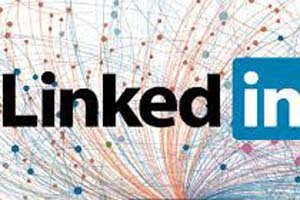 Need help writing LinkedIn profile? Just send us a message on Whatsapp no. +91 860 865 7782. We are HR experts with more than 10 years experience in the field. Email at customer@golinked.in for further details. ⟵What is different about LinkedIn writing?